(Disky) 16 tracks - new recordings (no data) on this beautiful pop & soul mix. nice price! Richard Barrett knew a thing or two about producing and writing for girl groups. He’d discovered The Chantels, working closely with them on their ’58 smash Maybe in New York. Back in his native Philly in 1963, Barrett wanted to mastermind another female vocal group. He recruited Fayette Pinkney (born January 10, 1948 in Philly), Linda Turner, and Shirley Poole, all attending Overbrook High School in West Philly, and created The Three Degrees. Barrett wrote and produced their ’64 debut on Swan Records, Gee Baby (I’m Sorry), which charted mildly on the pop side the following spring. Barrett wasn’t satisfied with his protégés, so he kept lead Pinkney, dumped the others, and added Richmond, Virginia-born Helen Scott as well as Janet Harmon. Unmercifully rehearsing the trio and solo act Sheila Ferguson, a Germantown High student born October 8, 1947 in Philly (she usually sang on the Degrees’ sides and they on her solo efforts), Barrett had the new Degrees revive The Chantels’ dreamy 1961 hit Look In My Eyes, their remake nipping the low rungs of the pop charts in ’66 on Swan. Scott left later in the year to get married, opening the door for Ferguson to take her place (she’d also been recording for Swan, which folded). Harmon exited. Barrett brought in Sundray Tucker, daughter of Ira Tucker, the legendary lead singer of gospel’s Dixie Hummingbirds, then ex-Chantel Sonia Goring, before finding Newark, New Jersey native Valerie Holiday performing in Boston. Singles on ABC, Warner Bros., Metromedia, and Neptune went nowhere. When Richard signed The Three Degrees to Morris Levy’s Roulette Records in New York, things finally began to happen in a big way. A melodramatic remake of Maybe with Valerie leading regally zoomed to #4 R&B during the summer of ’70, and I Do Take You went to #7 that fall. You’re The One and There’s So Much Love All Around Me dented the R&B hit parade the next year. Moving The Three Degrees to Kenny Gamble and Leon Huff’s Philly International empire was Barrett’s best move. The trio shared billing with the label’s house band MFSB on the lavishly orchestrated TSOP (The Sound Of Philadelphia), which would serve as the theme song for Don Cornelius’ popular ‘Soul Train’ TV show. It sailed to the top of the pop and R&B charts during the spring of ’74. Barrett’s dream was realized. That autumn, Gamble and Huff pulled the irresistible charmer When Will I See You Again off the Degrees’ first Philly International LP after the song belatedly got hot in Japan. 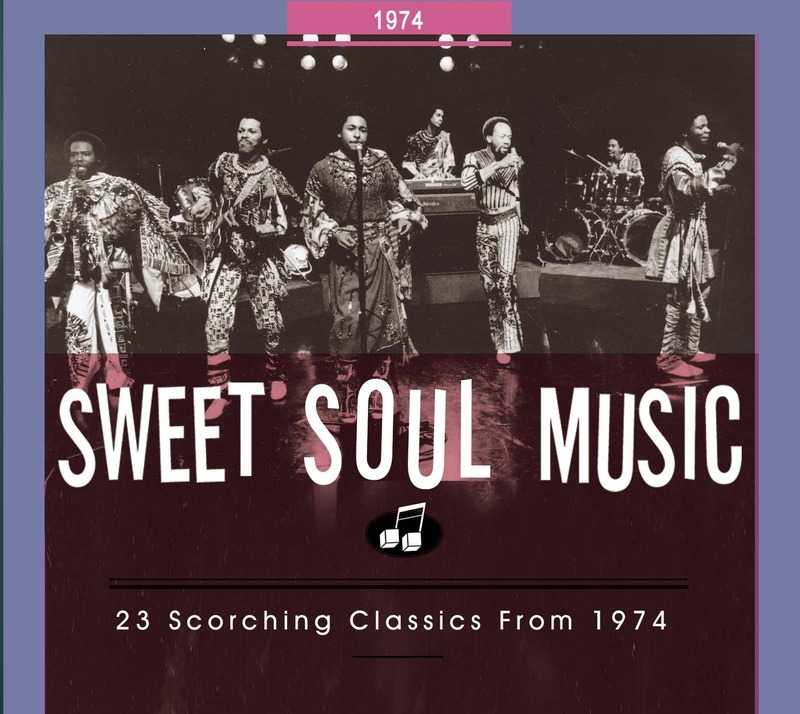 Written by prolific label heads Gamble and Huff and arranged by the indefatigable Bobby Martin, the theme was a #2 pop/#4 R&B monster in the fall of ’74. I Didn’t Know was the last Top 20 R&B entry for The Three Degrees in ’75; Pinkney exited the next year, Scott coming back to replace her. The trio was more popular in Europe during the ‘80s (Ferguson left in 1986 to go solo in Great Britain). 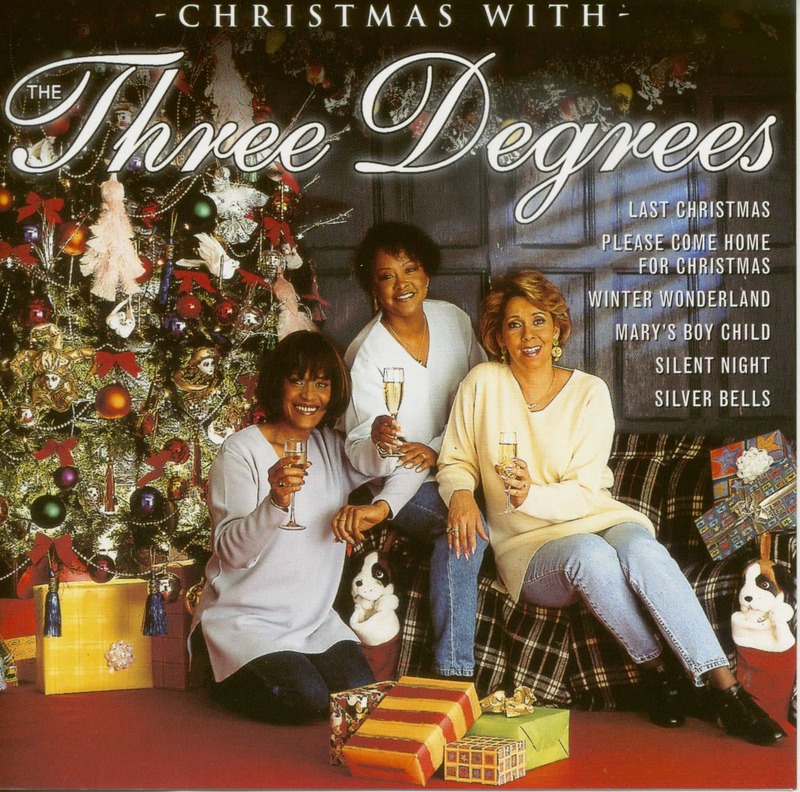 After a long legal battle with Barrett’s camp (he died August 3, 2006 of pancreatic cancer), Valerie, Helen, and Cynthia Garrison regained the use of The Three Degrees name in 2008 and played their hometown, definitively answering the question posed in the title of this song. Pinkney died June 27, 2009. 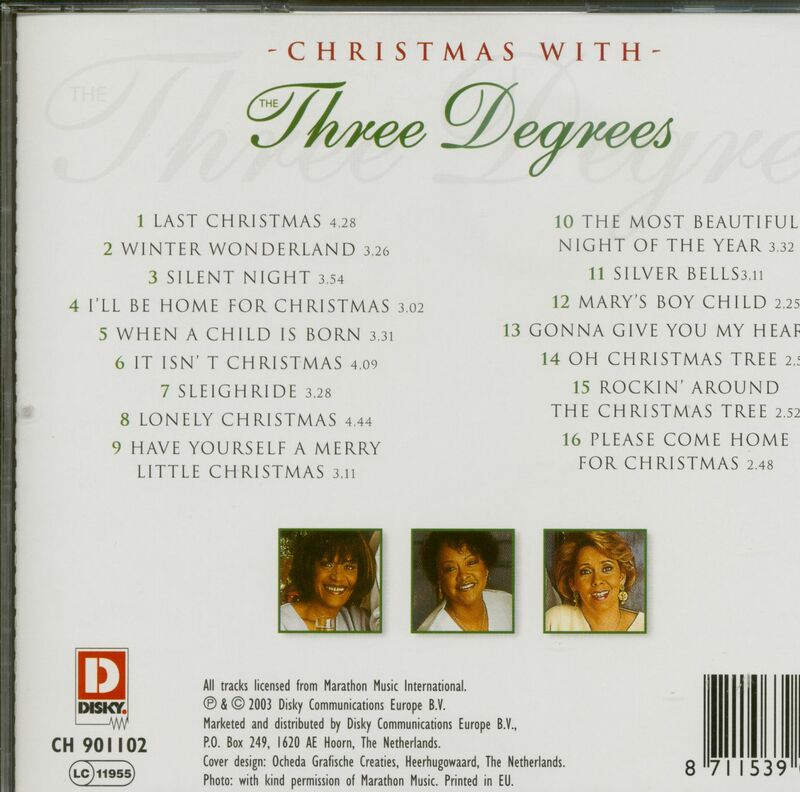 Customer evaluation for "Christmas With The Three Degrees"